Our Club provides a mutually supportive and positive learning environment in which every member has the opportunity to develop communication, leadership skills, self-confidence and personal growth. 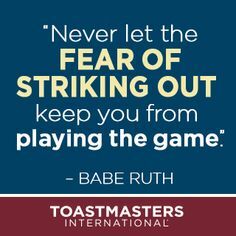 The good thing about Toastmasters is that there is no pressure. You don't have to speak until you are ready. Everyone here has been in the same position, therefore, they are very understanding and supportive. There will always be nerves....and it's important to remember that nerves are good!! Even seasoned speakers get nervous. Our hashtag is #Whereallthefunhappens! We have fun, play a game called Table Topics, listen to outstanding speeches, and provide feedback to help each other in our journey.